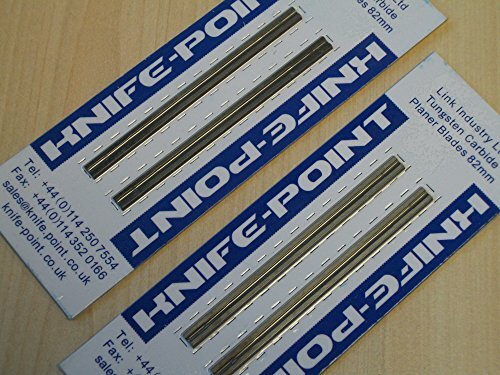 PACKED ON KNIFE-POINT SKIN CARD AND MANUFACTURED IN FINE GRAIN TUNGSTEN CARBIDE THESE WILL OUTLAST STANDARD HSS BY UP TO 20 TIMES. 82MM LONG, PRECISION GROUND WITH A MIRROR FINISH ON THE FACES. THESE TOOLS ARE REVERSIBLE AND DISPOSABLE. THESE FIT THE MAJORITY OF POPULAR HAND PLANERS E.G. BOSCH, BLACK & DECKER, DEWALT, ELU, HITACHI, RYOBI ETC.